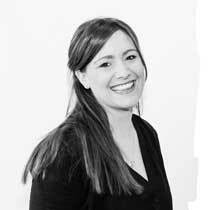 Danielle joined CLA in 2010 and obtained her RIBA Architectural Qualification in 2015 whilst training as a graduate at CLA. As a project architect, Danielle has experience on a variety of projects within different sectors for commercial and especially residential clients. Danielle's approachable character has seen her build excellent working relationships and develop design and construction skills to become a key member of our team. Danilelle has also further knowledge of conservation architecture and is a RIBA conservation registrant.